The Kyoto Osaka guide celebrates its 10th anniversary, with 3 restaurants holding three stars in consecutive 10 years, as well as the addition of the Tottori prefecture and its 6 new starred restaurants. The MICHELIN Guide Kyoto Osaka marks its milestone 10th anniversary with the addition of the Tottori prefecture. 3 restaurants have held 3 stars in consecutive 10 years in Kyoto and Osaka while 2 restaurants earns two stars in Tottori for the first time. "Kyoto is the central city for Japanese cuisine, and Osaka is the gourmet city so they were always obvious choices for a MICHELIN guide. Consistency remains the foundation of our selection and it is heartening to see restaurants retaining three stars for 10 consecutive years. These areas are also dynamic so there have been plenty of new additions to the guide this year," says Gwendal Poullennec, International Director of the MICHELIN Guides. In Kyoto, seven restaurants retain three Michelin stars from last year, three of which celebrate the astonishing achievement of holding the vaunted status for 10 consecutive years. They are Kikunoi Honten, Kitcho Arashiyama Honten and Hyotei. 39 restaurants have been added to the selection, with 15 new one-starred restaurants and 24 Bib-Gourmands. The selection now includes classic Kyoto-style ryokans, restaurants that serves Japanese breakfast and sushi-yas specialising in mackerel sushi. The four restaurants in Osaka, Hajime, Kashiwaya, Koryu and Taian, retain their three-star status while 10 new restaurants have been awarded with one Michelin star. Osaka’s vibrant food culture is represented in the guide which covers 16 different categories of cuisine from spicy curry to pressed sushi. One of the new one-starred establishments is Maeshiba Ryoriten in Chuo-ku which has been awarded a Bib Gourmand accolade since 2016 for its affordable French bistro cuisine. 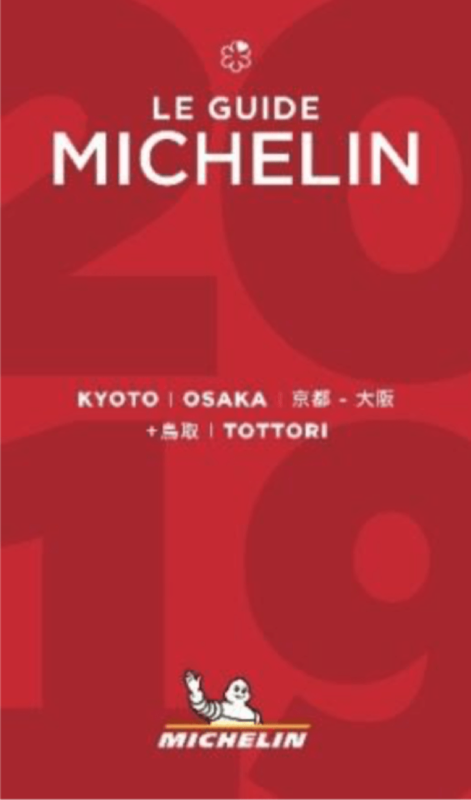 In addition to the celebration of the 10th anniversary of the publication of the MICHELIN Guide Kyoto Osaka, with the join of Tottori district, the guide is even now more comprehensive, with a variety of different cuisine types and many different styles of hotels and ryokans. A total of 76 restaurants have been selected from the latest prefecture to be added in the guide. There are four new one-starred restaurants while two restaurants in Tottori City have been awarded two stars: Japanese restaurant Mitsuki where the chef creates elegant dishes from seasonal ingredients, and Kaniyoshi which specialises in crab. 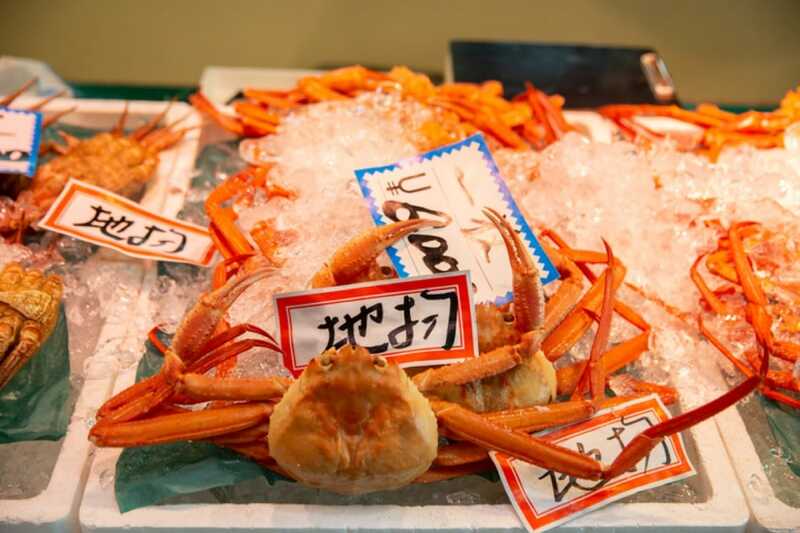 The Tottori Prefecture is located in the west of Honshu Island, bordering the Sea of Japan where the largest catchment of crabs in Japan comes from and this is the first time a crab specialty restaurant has been awarded two Michelin stars in the country. The latest guide, which will go on sale on Friday, 12 October, also contains 58 new Bib gourmands, including 10 from Tottori. This distinction recognises restaurants offering quality food at a maximum of 5,000 JPY. Rachel Tan is Digital Associate Editor at the MICHELIN Guide. A former food magazine writer, she has a degree in communications for journalism but is a graduate of the school of hard knocks in the kitchen. When not at the keyboard, she might be found devouring food fiction or slaving over the stove with a kid on her hip. In the words of Anais Nin, she writes to taste life twice.